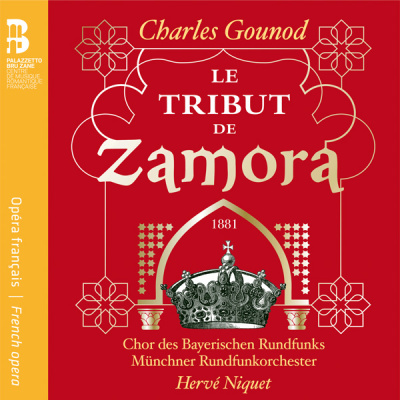 Gounod tackled the operatic genre for the last time in 1881 with what is probably his most ambitious work, "Le Tribut de Zamora". The action takes place in ninth-century Spain. Here Gounod was given an opportunity to display his talents as an orchestrator and colourist in an exotic setting. He produced an epic in the tradition of French grand opéra, with numerous ensembles and showpiece airs. Despite an unequivocal success on its first run, "Le Tribut de Zamora" sank into oblivion within a few short years.